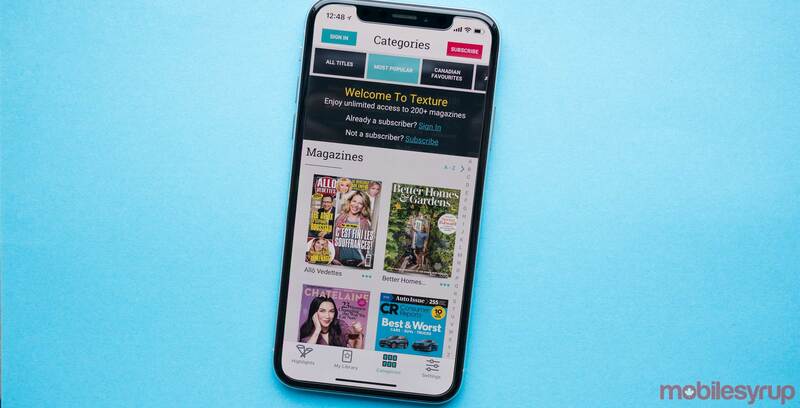 When Apple unveiled Apple News+ last month, the company also announced Texture, a magazine distribution platform it purchased in March 2018 would shutter on May 28th. According to a report from the New York Post, Apple paid a total of $445 million USD for Texture, which Rogers was a partial owner of. The NYPost adds that the $485 million included a $100 million upfront payment to the five organizations — Conde Nast, Meredith, Hearst, Rogers and venture backer KKR — that helped launch the service. “The sale price of $485 million included a $100 million up-front payment to four publishers who teamed up to launch Texture — Condé Nast, Meredith and Hearst and Rogers in Canada — plus their venture backer, KKR. Going forward, the four publishers got a minimum of $145 million in the first year, followed by a minimum $240 million for the second and third years,” says the report. In Canada, Apple News+ costs $12.99 CAD per month and has over 300 magazines available, including 30 Canadian magazines. The news that Texture was shutting down wasn’t so bad for iOS users; they could simply migrate to News+. On Android, however, Apple has yet to provide an alternative.